While Patsy marries a prosperous farmer and stays in the town she grew up in, wild child Francesca follows the lights of the big city as a successful actress. In the course of an afternoon’s reunion between the long-estranged friends, a buried memory and a wild secret crash into the present. 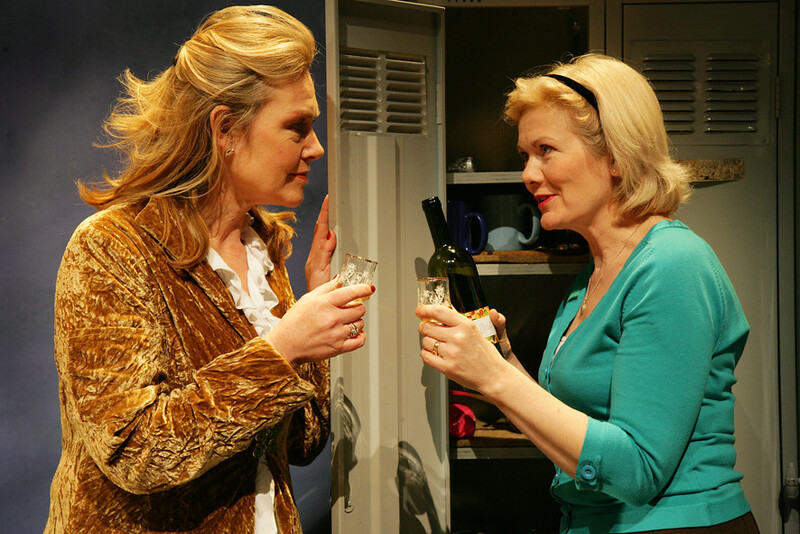 Based on a true story, Perfect Pie is an intimate and emotional drama by acclaimed Canadian playwright Judith Thompson. 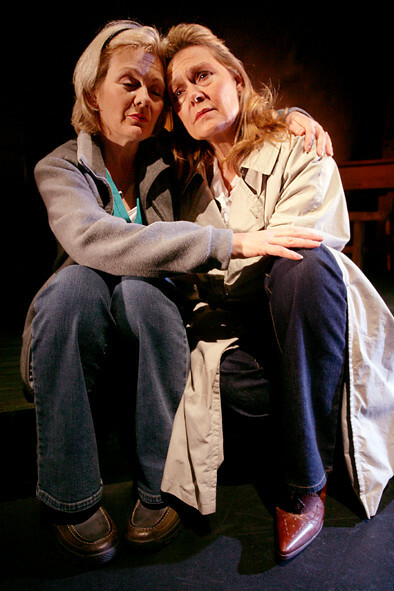 Perfect Pie premiered at the Tarragon Theatre in Toronto in 2000. 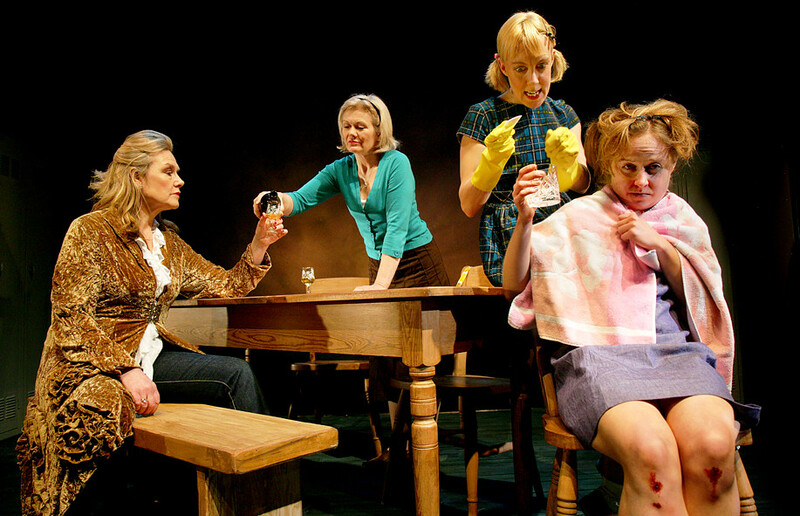 It was publicly read at the Old Vic, London, the Royal Shakespeare Company in Stratford and at the Traverse Theatre, Edinburgh, as part of Rehearsal Room 7 in 2004. 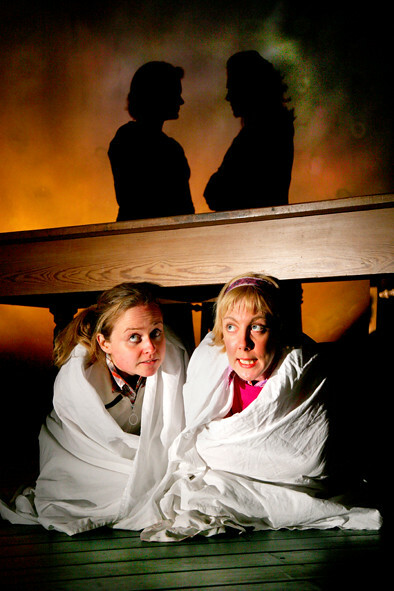 Perfect Pie was Maureen Beattie’s second project as a director, after her directorial debut in the Borderline Theatre, Perth Theatre and Byre Theatre production of Good Things by Liz Lochhead, which successfully toured Scotland in autumn 2004. The programmes for Stellar Quines’ production of Perfect Pie included, in the inside back cover, a recipe for the rhubarb pie the character Patsy bakes in the play. A Stellar Quines production in association with The Byre Theatre, St Andrews, and Perth Theatre, with the support of Foreign Affairs Canada/avec l’appui d’Affaires étrangères Canada.